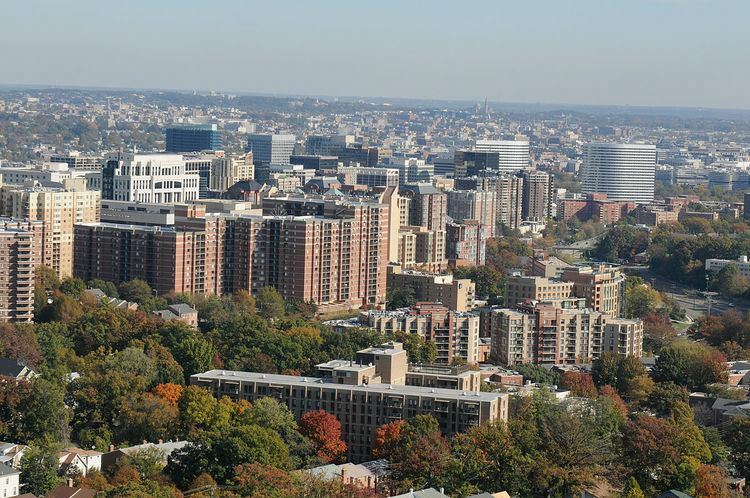 Arlington County is a county in the Commonwealth of Virginia, and is coterminous with the U.S. Census Bureau-census-designated place of Arlington, which is the second-largest principal city of the Washington metropolitan area. As a result, the county is often referred to in the region simply as "Arlington" or "Arlington, Virginia". In 2016, the county's population was estimated at 230,050, making it the sixth-largest county in Virginia, or the fourth-largest city if it were incorporated as such. It is the highest-income county in the United States by median family income, and has the highest concentration of singles in the region. The county is situated in Northern Virginia on the southwestern bank of the Potomac River directly across from Washington, D.C., of which it was briefly a part. 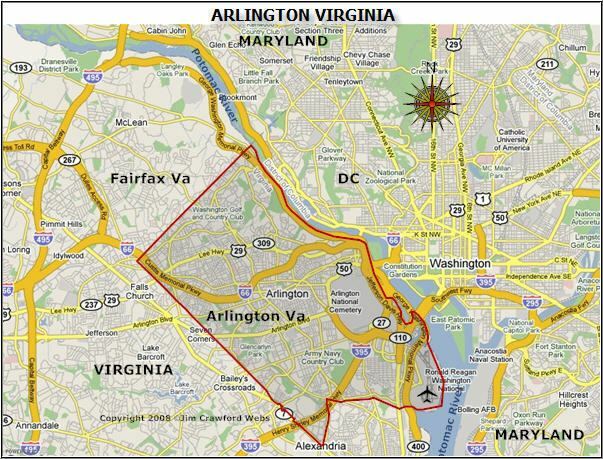 With a land area of 26 square miles (67 km2), Arlington is the geographically smallest self-governing county in the United States, and by reason of state law regarding population density, has no incorporated towns within its borders. Due to the county's proximity to downtown Washington, D.C., Arlington is home to many important installations for the capital region and US government, including the Pentagon, Reagan National Airport, and Arlington National Cemetery. Many schools and universities have campuses in Arlington, most prominently the Antonin Scalia Law School of George Mason University. The area that now constitutes Arlington County was originally part of Fairfax County in the Colony of Virginia. Land grants from the British monarch were awarded to prominent Englishmen in exchange for political favors and efforts at development. One of the grantees was Thomas Fairfax, 6th Lord Fairfax of Cameron, who lends his name to both Fairfax County and the City of Fairfax. The county's name "Arlington" comes via Henry Bennet, Earl of Arlington, a Plantation along the Potomac River, and Arlington House, the family residence on that property. (Ultimately, the name is a variant of Harlington, London, seat of the first Baron of Arlington; it in turn derives from Hygerǣd, an Anglo-Saxon noble's name.) George Washington Parke Custis, grandson of First Lady Martha Washington, acquired this land in 1802. The estate was eventually passed down to Mary Anna Custis Lee, wife of General Robert E. Lee. The property later became Arlington National Cemetery during the American Civil War, and eventually lent its name to present-day Arlington County. The area that now contains Arlington County was ceded to the new United States federal government by Virginia. With the passage of the Residence Act in 1790, Congress approved a new permanent capital to be located on the Potomac River, the exact area to be selected by U.S. President George Washington. The Residence Act originally only allowed the President to select a location within Maryland as far east as what is now the Anacostia River. However, President Washington shifted the federal territory's borders to the southeast in order to include the pre-existing city of Alexandria at the District's southern tip. In 1791, Congress amended the Residence Act to approve the new site, including the territory ceded by Virginia. However, this amendment to the Residence Act specifically prohibited the "erection of the public buildings otherwise than on the Maryland side of the River Potomac." As permitted by the United States Constitution, the initial shape of the federal district was a square, measuring 10 miles (16 km) on each side, totaling 100 square miles (260 km2). During 1791–92, Andrew Ellicott and several assistants placed boundary stones at every mile point. Fourteen of these markers were in Virginia and many of the stones are still standing. Alexandria had also been a major market in the American slave trade, and rumors circulated that abolitionists in Congress were attempting to end slavery in the District; such an action would have further depressed Alexandria's slavery-based economy. At the same time, an active abolitionist movement arose in Virginia that created a division on the question of slavery in the Virginia General Assembly. Pro-slavery Virginians recognized that if Alexandria were returned to Virginia, it could provide two new representatives who favored slavery in the state legislature. 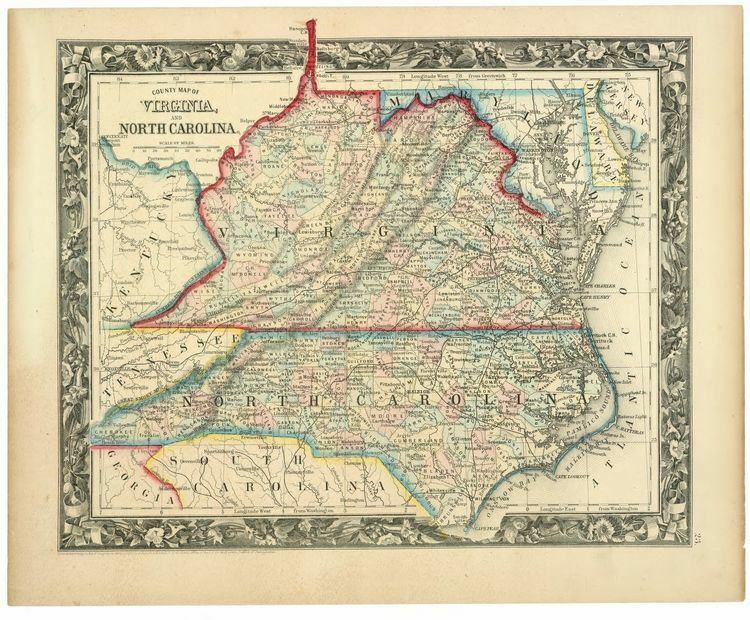 During the American Civil War, this division led to the formation of the state of West Virginia, which comprised the 55 counties in the northwest that favored abolitionism. Largely as a result of the economic neglect by Congress, divisions over slavery, and the lack of voting rights for the residents of the District, a movement grew to return Alexandria to Virginia from the District of Columbia. From 1840 to 1846, Alexandrians petitioned Congress and the Virginia legislature to approve this transfer known as retrocession. On February 3, 1846, the Virginia General Assembly agreed to accept the retrocession of Alexandria if Congress approved. Following additional lobbying by Alexandrians, Congress passed legislation on July 9, 1846, to return all the District's territory south of the Potomac River back to Virginia, pursuant to a referendum; President James K. Polk signed the legislation the next day. A referendum on retrocession was held on September 1–2, 1846. The residents of the City of Alexandria voted in favor of the retrocession, 734 to 116; however, the residents of Alexandria County voted against retrocession 106 to 29. Despite the objections of those living in Alexandria County, President Polk certified the referendum and issued a proclamation of transfer on September 7, 1846. However, the Virginia legislature did not immediately accept the retrocession offer. 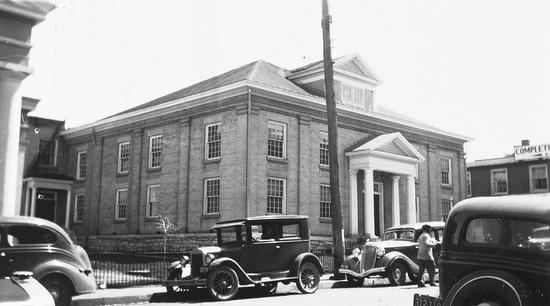 Virginia legislators were concerned that the people of Alexandria County had not been properly included in the retrocession proceedings. After months of debate, the Virginia General Assembly voted to formally accept the retrocession legislation on March 13, 1847. In 1852, the Virginia legislature voted to incorporate a portion of Alexandria County to make the City of Alexandria, which until then had been only been considered politically as a town. In February 1959, Arlington County Schools desegregated racially at Stratford Junior High School (now H-B Woodlawn) with the admission of black pupils Donald Deskins, Michael Jones, Lance Newman, and Gloria Thompson. The U.S. Supreme Court's ruling in 1954, Brown v. Board of Education of Topeka, Kansas had struck down the previous ruling on racial segregation Plessy v. Ferguson that held that facilities could be racially "separate but equal." Brown v. Board of Education ruled that "racially separate educational facilities were inherently unequal." The elected Arlington County School Board presumed that the state would defer to localities and in January 1956 announced plans to integrate Arlington schools. The state responded by suspending the county's right to an elected school board. The Arlington County Board, the ruling body for the county, appointed conservatives to the school board and blocked plans for desegregation. Lawyers for the local chapter of the National Association for the Advancement of Colored People (NAACP) filed suit on behalf of a group of parents of both white and black students to end segregation. Black pupils were still denied admission to white schools, but the lawsuit went before the U.S. District Court, which ruled that Arlington schools were to be desegregated by the 1958–59 academic year. In January 1959 both the U.S. District Court and the Virginia Supreme Court had ruled against Virginia's massive resistance movement, which opposed racial integration. The Arlington County Central Library's collections includes written materials as well as accounts in its Oral History Project of the desegregation struggle in the county. In the Virginia State Senate, Arlington is split between the 30th and 31st districts, represented by Adam Ebbin and Barbara Favola , respectively. In the Virginia House of Delegates, Arlington is divided between the 45th, 46th, 47th, 48th districts, represented by Mark Levine, Rip Sullivan, and Alfonso Lopez, respectively. All are Democrats. At the federal level, Arlington was once a GOP stronghold, supporting the Republican candidate in every election, but one, from 1948 to 1980. However, in 1984, it supported Democrat Walter Mondale, despite Republican Ronald Reagan's electoral landslide. It has gone Democratic in every presidential election since then. In fact, in 2016, Republican candidate Donald Trump received the fewest number of raw votes in the county since Adlai Stevenson II in 1956. Arlington is part of Virginia's 8th congressional district, represented by Democrat Don Beyer. 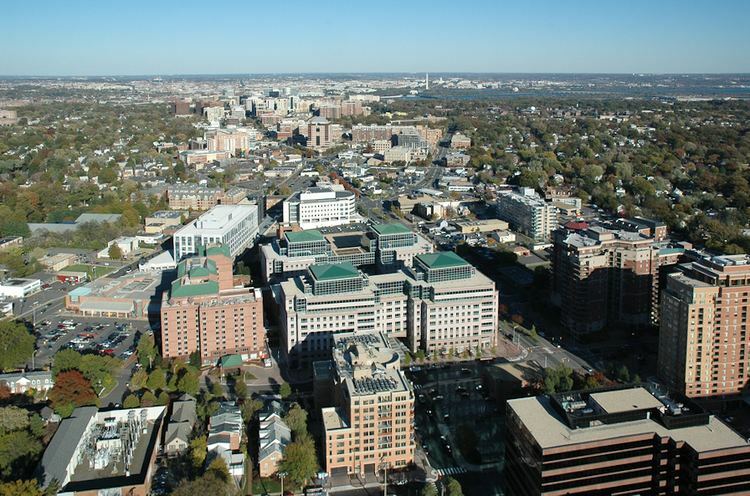 A number of federal agencies are headquartered in Arlington, including the Air Force Office of Scientific Research, DARPA, Drug Enforcement Administration, Foreign Service Institute, National Science Foundation, Office of Naval Research, Transportation Security Administration, United States Department of Defense, United States Marshals Service, and the United States Trade and Development Agency. Organizations located here include Associated General Contractors, The Conservation Fund, Conservation International, the Consumer Electronics Association, The Fellowship, the Feminist Majority Foundation, the Insurance Institute for Highway Safety, the National Rural Electric Cooperative Association, The Nature Conservancy, the Public Broadcasting Service, United Service Organizations, and the US-Taiwan Business Council. In 2007, the county authorized EnviroCAB, a new taxi company, to operate exclusively with a hybrid-electric fleet of 50 vehicles and also issued permits for existing companies to add 35 hybrid cabs to their fleets. As operations began in 2008, EnvironCab became the first all-hybrid taxicab fleet in the United States and the company not only offset the emissions generated by its fleet of hybrids, but also the equivalent emissions of 100 non-hybrid taxis in service in the metropolitan area. The green taxi expansion was part of a county campaign known as Fresh AIRE, or Arlington Initiative to Reduce Emissions, that aimed to cut production of greenhouse gases from county buildings and vehicles by 10 percent by 2012. Arlington Public Schools operates the county's public K-12 education system of 22 elementary schools, 5 middle schools including Thomas Jefferson Middle School, Gunston Middle School, Kenmore Middle School, Swanson Middle School, and Williamsburg Middle School, and 4 public high schools in Arlington County including Wakefield High School, Washington-Lee High School, Yorktown High School and the H-B Woodlawn alternative school. Arlington County spends about half of its local revenues on education. For the FY2013 budget, 83 percent of funding was from local revenues, and 12 percent from the state. Per pupil expenditures are expected to average $18,700, well above its neighbors, Fairfax County ($13,600) and Montgomery County ($14,900). George Mason University operates an Arlington campus in the Virginia Square area between Clarendon and Ballston. The campus houses the George Mason University School of Law, School of Policy, Government, and International Affairs and the School for Conflict Analysis & Resolution.